Nancy Beckley & Associates provides start up and continued support for Medicare certified rehab agencies and CORFs. We have been involved with over 100 Medicare certified rehab agencies and CORFs in all phases: from start up operations to mock surveys to policy manual development, site analysis, equipment orders, facility layout, Office of Civil Rights compliance, survey & certification appeals, as well as staff and board training. More recently we have been assisting providers on mandatory compliance with Section 1557 of the Affordable Care Act and the new and required Emergency Preparedness Condition of Participation. There are over 2500 active rehab agencies currently certified by CMS. More and more providers are interested in becoming a rehab agency in large part to offer PTA and COTA services under general, rather than direct, supervision. There are other business and financial reasons for becoming a rehab agency. If you are considering a rehab agency option, or are an existing rehab agency that is looking to be in shape for the new CMS re-validation cycle, or to pass an upcoming survey, we have created a membership site with your needs in mind. 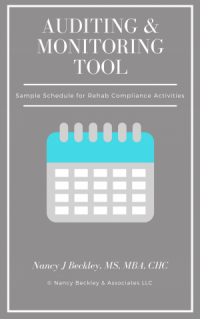 Looking for a Rehab Agency Policy and Procedure Manual? Our manual meets is consistent with the Conditions of Participation and the AAAASF Accreditation Standards. Have CORF or Rehab Agency Questions? – Our Webinar is For You! In response to a lot of questions and uncertainly regarding CORFs and Rehab Agencies we now offer a custom webinar for those interested in starting a CORF or purchasing a CORF. This will get you up to speed quickly on CORF requirements and to assist you in determining if a CORF is the right vehicle for your outpatient therapy clinic. 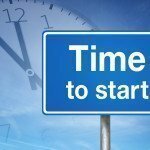 New is 2018 is the Rehab Agency Getting Started Webinar updated with a PPT handout to take you through the basics of started a rehab agency. Rehabilitation agencies are federally certified and provide an integrated multidisciplinary program designed to improve the physical function of handicapped individuals by bringing together a team of specialized rehabilitation personnel. At a minimum, a rehabilitation agency must provide physical therapy or speech pathology services. A rehab agency may provide services at approved extension sites. A rehab agency is often referred to as an “ORF” as well as an OPT/OST in CMS publications and federal regulations. New in 2018 is the Rehab Agency Getting Started Webinar with a PPT handout to take you through the basis of starting a Rehab Agency. A Comprehensive Outpatient Rehabilitation Facility (CORF) is a federally certified non-residential facility established and operated exclusively for the purpose of providing diagnostic, therapeutic, and restorative services for the rehabilitation of injured, disabled, or sick persons, at a single fixed location, by or under the supervision of a physician. A CORF may provide certain services offsite, despite a prohibition on extension sites. Medicare rehab providers are certified based upon the Conditions of Participation for each type of provider found in the Code of Federal Regulations. Part A providers (Rehab Agencies & CORFs) make application to the Part A Medicare Administrative Contractor (MAC), and they are subject to the survey and certification requirements. Surveys are conducted by the State Agency or CMS deeming authority in the case of a rehab agency. State surveyors use interpretive guidelines to guide them in the survey and certification process. Medicare suppliers (private practices or physician offices) make application through the Part B Medicare Administrative Contractor (MAC) and for physical therapists in private practice are subject to a site visit, per the Affordable Care Act, as part of the enrollment process. Site visits are not applicable for occupational therapists or speech language pathologists in private practice. Nancy Beckley & Associates is an active member of the National Association of Rehabilitation Providers and Agencies, the professional association representing Rehab Agencies and CORFs. Nancy Beckley has served on the CMS CORF Professional Expert Technical Panel, and was a faculty member for the CORF Development workshop series presented by the American Medical Rehabilitation Providers Association. She is recognized by her peers as a rehab agency and CORF expert, and has worked extensively with CORFs in Florida who have undergone aggressive review as part of Medicare program safeguard activities targeting fraud and abuse in South Florida.